The following letter was written by Elder Ephraim Katounakiotis to a fellow monk who was dying of cancer. 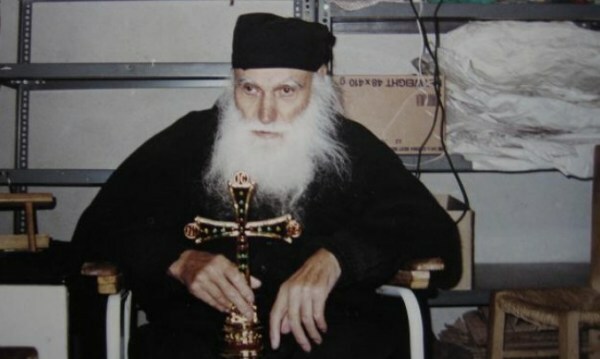 Elder Ephraim fell asleep in the Lord on February 14/27, 1998. It is with much brotherly love that I embrace you, praying that the Lord God send His angel and gift you with a spirit of patience, and a spirit of faith and trust towards God. Yesterday I received your letter and this morning I come to answer you. Three months ago I went to Athens and had eye surgery for my cataract, and as of yet my sight has not returned and I do not see well, and I appointed N. to write what I dictate. Be worthy of your calling of "Theoklitos" [Chosen of God]. Among the saints you are chosen, and among the martyrs you are placed. To tell you the truth, I laud and envy you, foreseeing the fruits of your trials. The much love of God toward you has driven you towards this Golgotha. Saint Chrysostom knit two works of praise for the much-suffering Job. He doesn't praise him for his previous life, when before his trials he was pious, hospitable, and a stranger to all evil, but he praises the patience he showed during his ordeal which God sent him. During the time of the Occupation an impoverished father, a shoe-maker, made a lot of shoes, and gave them to his daughter to sell around the villages. The little girl several times went barefoot into the villages and sold them. She would go sometimes hungry, sometimes barefoot, sometimes during the day and sometimes at night, and as a result the little girl came down with tuberculosis. Before she died they were able to make her a nun and named her Anysia the Nun. When they transferred her relics, they were fragrant. See, therefore, the result of patience in trials. In my village there was a similar spirit; Vasiliki was her name. Because she was a strong girl, her father would take her to outside jobs with him. From her many hardships her health was seriously shaken and in the end died. A neighbor of hers, a very pious person, saw during his prayers five or six angels singing hymns to God. And in the middle was this soul. See, therefore, what patience made her worthy of. And our Elder, your grandfather, Elder Joseph, would repeatedly tell us that his life was a martyrdom, and see what God has made him worthy of in that his relics are fragrant. I pray that you, through the prayers of our Elder, receive "the same".